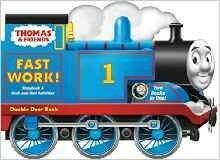 This train-shaped book features a Thomas & Friends story plus seek-and-find activities just for little ones! 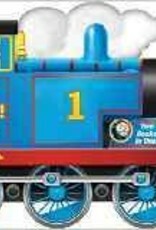 This short, action-packed adventure starring Thomas, everyone’s favorite tank engine, also includes a seek-and-find activity on every right-hand page! Perfect to encourage a love of reading, and reinforce early learning concepts in preschoolers.